My last post was rather complicated, so I’ve toned it down quite a bit for today’s post. The great thing, though, is that by looking at the final result you will think it’s so fancy there must be a lot of work involved. Not so! As such, this is a great dessert when you want to make an impression with presentation. It must be made a day ahead of time so last-minute rushing around is not an issue. As a reminder, you may remember that earlier this year I had a mini-rant about “chocolate wafer cookies” and how confusing that term is. For this recipe, “chocolate wafer cookies” absolutely refers to the Nabisco brand disc cookies. With whisk attachment on electric mixer, whip cream with powdered sugar and vanilla until stiff. Line baking sheet with waxed or parchment paper. 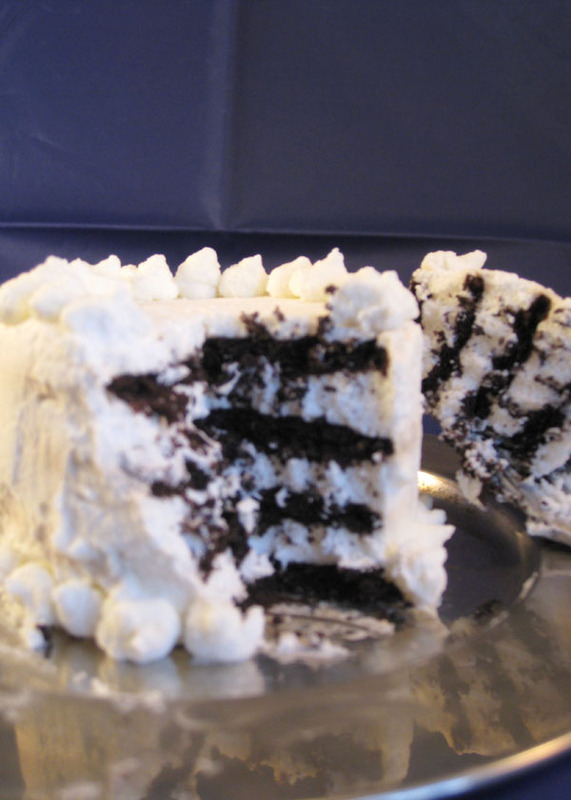 Create ten mini-cakes, starting with a wafer cookie base and alternating with a whipped cream “filling” until each cake has four cookie layers. 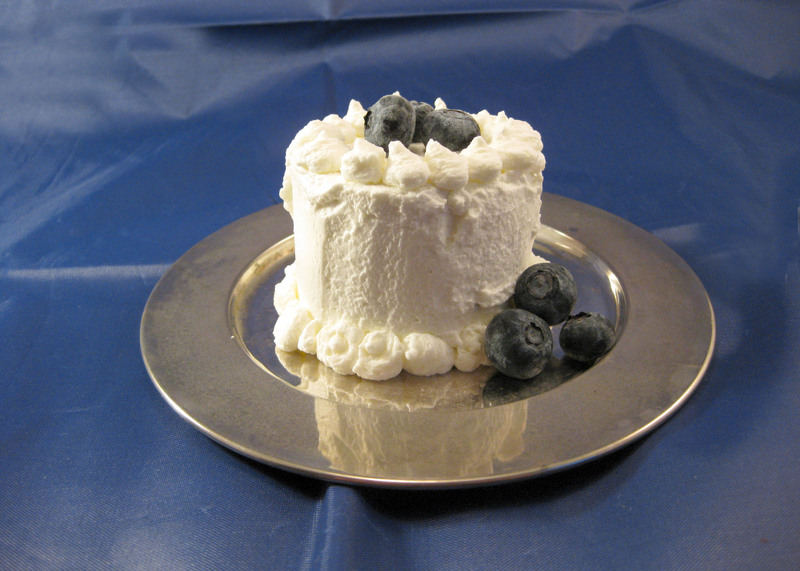 Spread remaining cream around sides and top of cake using the flat side of a knife (or, uh, your finger when necessary.) Feel free to get creative and use a piping bag and decorating tip to create dots or blossoms. Refrigerate overnight. Do not skip this step! The wait gives time for the cookies to absorb the moisture of the cream, and they develop a cake consistency; otherwise they are hard and impossible to eat. Before serving, garnish with grated chocolate or berries, if desired. This entry was posted in Baking Jumbles, Slutty Jumbles and tagged chocolate, cream, icebox, individual, wafers. Bookmark the permalink. I may have to do this for my son’s birthday party! How fun!